PXG tour professional Billy Horschel claimed his fourth PGA TOUR victory during the AT&T Byron Nelson after a riveting final round. Today, PXG tour professional Billy Horschel claimed his fourth PGA TOUR victory during the AT&T Byron Nelson after a riveting final round. Horschel came out on top following a sudden death playoff where he used the PXG Bat Attack putter to roll in the winning putt. Fellow PXG Troop James Hahn also posted a strong finish, birdieing the 18th hole to claim third place. With wins on all three major U.S. tours and explosive worldwide growth, PXG continues to be one of the biggest news makers in the golf equipment world. The company’s innovative technology, easily recognizable clubs and unapologetic focus on performance is driving golfers at every level of the game to reconsider what is possible with the right equipment in the bag. 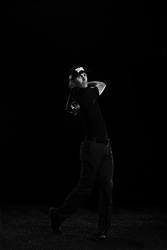 To learn more about PXG’s groundbreaking equipment and professional staff, visit http://www.PXG.com. Parsons Xtreme Golf (PXG) is based in Scottsdale, Arizona. The company was founded by Go Daddy founder, businessman and philanthropist Bob Parsons in 2014. Leveraging breakthrough technology and sophisticated manufacturing processes that integrate high-performance alloys, PXG produces the finest golf clubs in the world. The company has more than 100 global patents issued for its proprietary designs. PXG clubs are currently being played on all three major U.S. Tours. PXG's professional staff includes PGA TOUR Champions Zach Johnson, Billy Horschel, Charl Schwartzel, Chris Kirk, Ryan Moore, James Hahn, Pat Perez, Charles Howell III and LPGA players Austin Ernst, Lydia Ko, Brittany Lang, Christina Kim, Gerina Piller, Alison Lee, Ryann O’Toole, Beatriz Recari and Sadena Parks.